Day four of pinterest ideas. Today. Red baths. 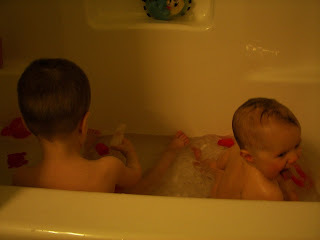 We've been working on learning colors this week so the bath tonight was a red themed fun. 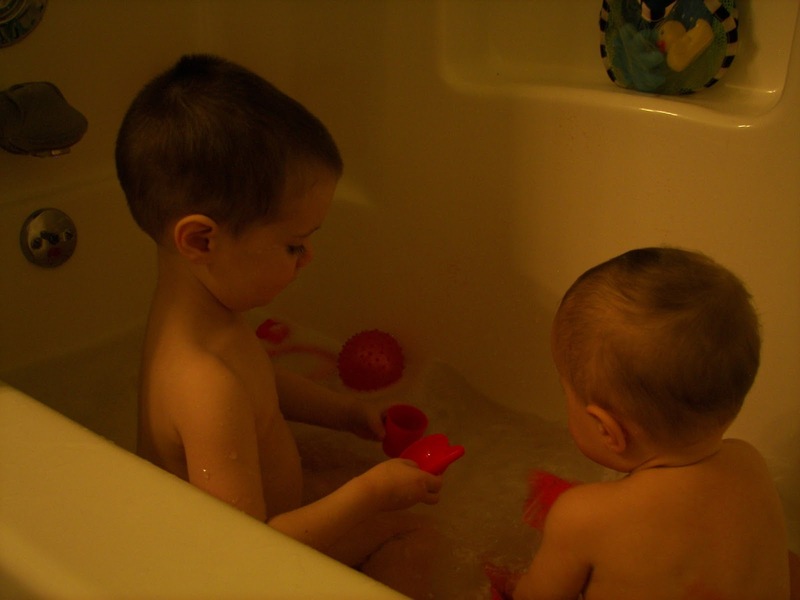 I didn't get to talk about the red stuff as much as I would have liked because I was doing damage control with the kids fighting for all the bath toys. Next time I will have them in there separately and when they aren't so tired. You can tell that they were having fun though because they weren't even looking at me.